When something is called a “lock” screen, you expect it to be locked. Unfortunately, the recent Google Now update removes two critical locks from your lock screen and exposes a potential security hole in Android. Specifically, enabling the OK Google Everywhere function lets anyone place calls directly from the lockscreen. You can simply say “OK Google, Call [CONTACT]” from the locked phone screen to place a call. There are some restrictions: the contact has to be in your contact book, which means someone can’t call random numbers or premium toll numbers. In addition, you can’t leave the dialing app to access the device without entering the unlock code. The dialer app is designed to run over top of the lockscreen, which is why this “hack” works in the first place. However, anyone can still see the number of the person you’re dialing along with their name – which can pose a security risk. Another potential problem is that Google overlays its navigation system over top of the lockscreen. You can say “OK Google, navigate home” to open a turn-by-turn navigation window. That’s also a security risk. Someone could view your home address, work address, or whatever other addresses are stored in your phone. Of course, if you lose your phone, the “navigate home” feature could also be used by a good Samaritan to return your precious device. 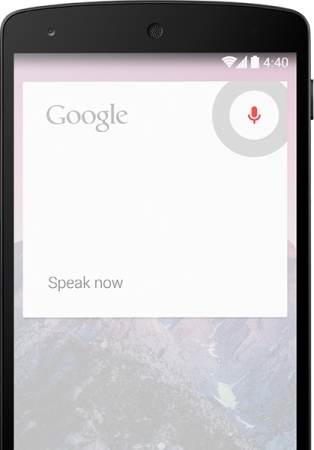 To disable this feature, open the Google Now settings menu and look for “Ok Google” Detection. 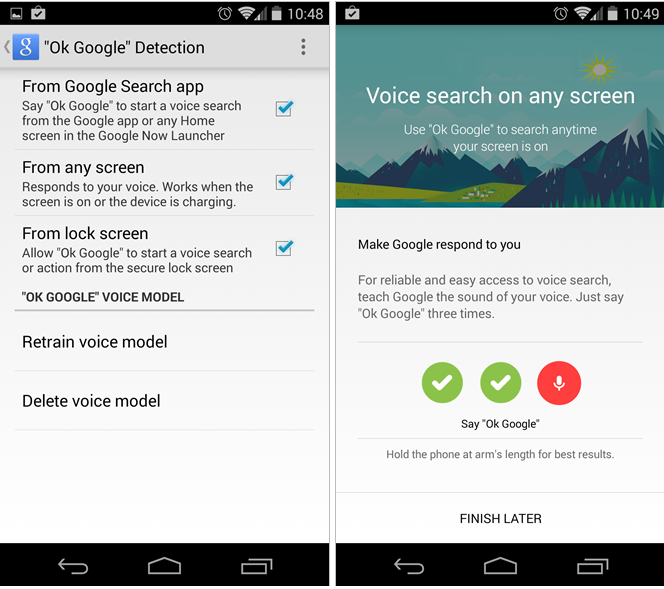 This menu lets you check when your Android device will listen for the “OK Google” command. You can set it to only listen when you open the Google Search app, for example, or you can have it listen from any screen – including the lock screen. This isn’t necessarily a security flaw, but it’s certainly something to be aware of if you enjoy using OK Google.